Warning: The photos in the story may be distressing to readers. A U.K. woman nearly lost her top lip after it ballooned and split following a botched filler injection. 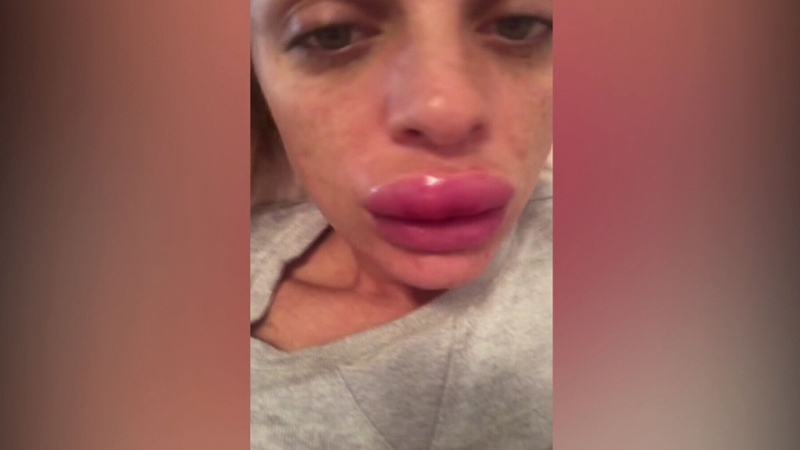 Rachael Knappier was left in excruciating pain after the procedure at a Botox party in August. The 29-year-old claims she was injected by an unqualified beautician who hit an artery causing necrosis. 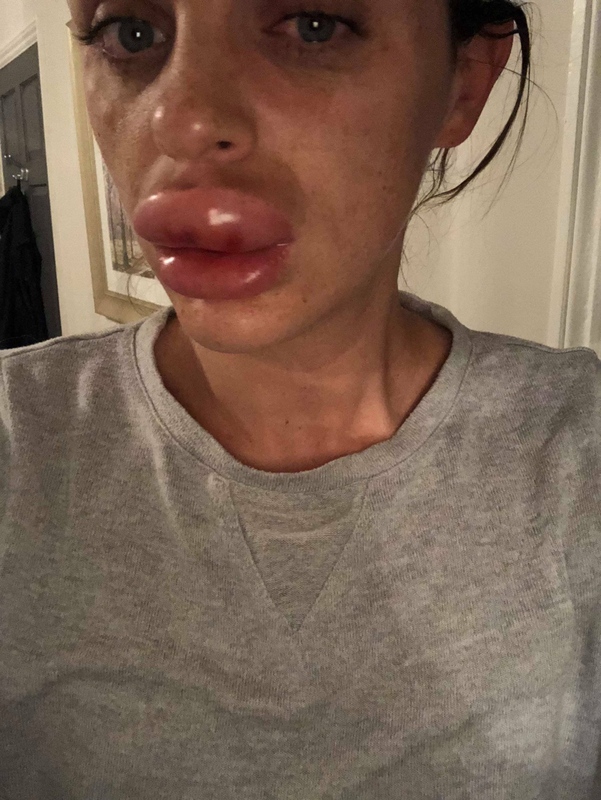 After being turned away from the National Health Service, Knappier, from Leicestershire in the U.K., endured three rounds of dissolving treatment at a specialist clinic in London before her lips reduced in size. 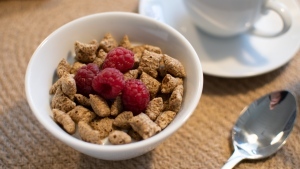 “I had filler in the past to even up a lump on my lip from an accident I had as a child, it left me with an uneven lip,” Knappier told CTVNews.ca in a telephone interview. 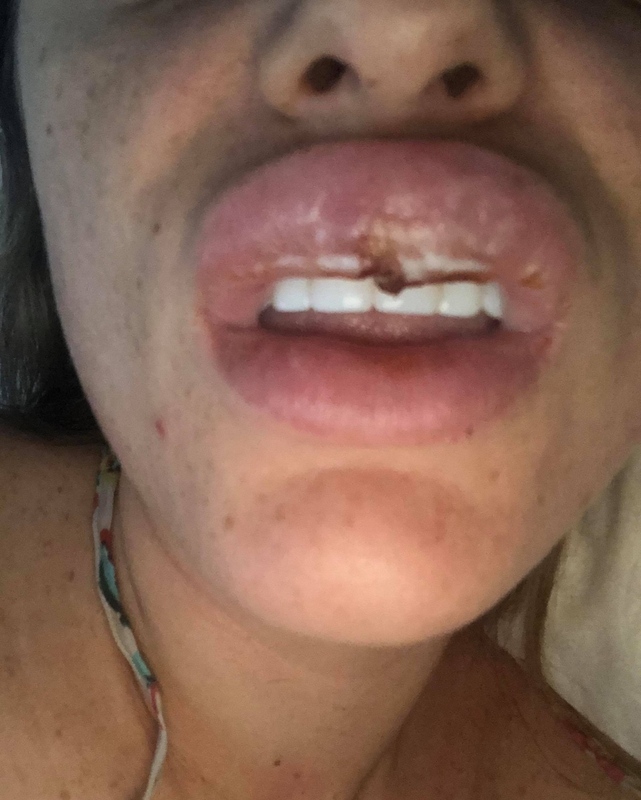 Knappier, who is head of operations at a law firm, was having an injection in her forehead when the beautician pointed out the lump on her lip, claiming she could fix it. She agreed to the procedure, but woke up in agony in the early hours after her lip tripled in size. Following her recovery, Knappier launched a petition in September calling for more regulation in the aesthetic medical industry. She went public with her experience about two weeks ago. “People need to do their research, use my mistake as their lesson,” she told CTV News. Knappier urged people considering similar procedures to ask questions about how long the person administering the treatment has been qualified and what the emergency procedure is. “I went off a recommendation from a friend, I should have researched more,” she told CTV News. Kanppier said aesthetic treatments should only be performed by medical professionals. “Every day we are hearing horror stories involving inexperienced and unqualified people administering medical treatments such as botox and derma fillers,” she said. There is no legislation in the U.K. that prevents non-medical professionals from delivering injectable cosmetic treatments. Health Canada regulates the safety, efficacy and quality of health products and consumers can report complaints about fillers or other medical devices here.